The capacity available in ships, trains, and trucks is a major factor that affects pricing. This is due to supply and demand; when there is little demand for shipping, prices are theoretically lower. When the demand is higher (such as during seasonal rushes), shippers will naturally expect to pay higher prices. But it’s also important to remember that carriers make decisions about hiring drivers and buying new trucks based on profit margins. When demand (and prices) start to slump, carriers will stop buying new equipment and hiring new drivers. This also limits the available capacity and can potentially bring costs back up. When freight loads are at a record high, finding enough available, qualified truck drivers can be a problem. When older truck drivers retire, carriers can have a difficult time filling the vacancies with new drivers. One reason for this is that the barrier to becoming a new driver is significant; it can take 3-6 months to get a CDL. And even with states issuing hundreds of thousands of new commercial licenses, the turnover rate in the industry is high. This churn rate has led some trucking companies to sweeten the deal by increasing pay and benefits, which adds to the base cost incurred by shippers and carriers, and in turn increases prices to the cargo owners. When fuel prices are high, shippers expect to experience increased costs. However, when fuel prices drop, shippers tend to find that their savings are more modest than expected. That’s primarily due to General Rate Increases (GRI) of about 5% industry-wide over the past few years. These higher base costs come as a result of the rising costs carriers have been faced with— increased wages for truck drivers, compliance costs, and equipment maintenance, to name a few. The bottom line is that while the lower cost of diesel fuel may not reduce the cost of shipping by much, it does offset some of the increase in base prices caused by these other factors. Weather has a huge impact on capacity and cost. Factors that inhibit trucking include hazardous road conditions, high winds, and sub-zero temperatures. When the weather is inclement—sometimes even dangerously so—the risk to drivers and depot/port operators increases. Weather can also prevent employees and independent contractors from getting to work, squeezing capacity. Conversely, during warmer months, more trucking is available and prices can drop. While some of the Obama administration’s safety and emissions regulations have been rolled back, and others hang in limbo, there are currently some regulations in place that have made it a bit tougher for truck fleets to stay in compliance. The switch to Electronic Logging Devices (ELDs) and revisions to the Hours of Service (HOS) requirements in particular are expected to temporarily raise costs for truck fleets due to the added cost of hardware, software, and training. Carriers are also focused on maintaining or improving their CSA safety ratings, which reflect on a fleet’s reputation and can provide a competitive advantage. Both new regulations and the improvements carriers make to their services have required more investment which also leads to increases in base prices. The factors that go into the price of moving goods from one place to another are complex, interconnected, and ever-shifting. 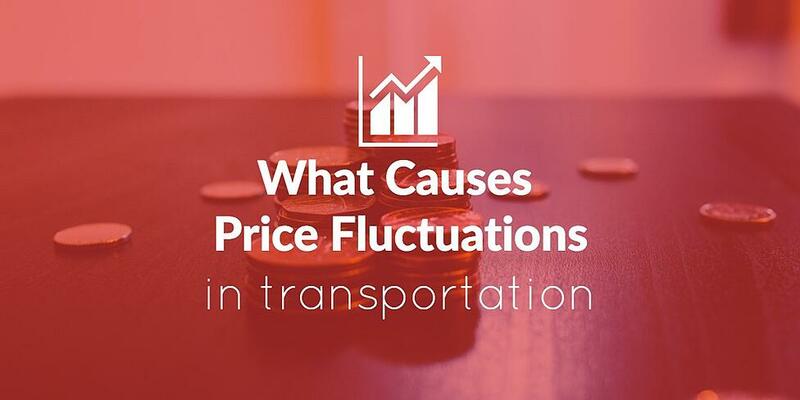 However, while the reasons above are limited, they may help contextualize some of the causes of fluctuating prices in the modern shipping industry. As a shipper, you may find yourself concerned about the rising costs of shipping. That’s why it’s wise to work with a third-party logistics (3PL) partner to help you navigate the shipping process and keep your costs and frustrations in check. Contact us today to talk about how we can help you have a more seamless and cost-effective experience.